JohnnieFromTheBlog – Rolex gold watches is a waste of money! Today I want to point out something very obvious that no watch enthusiast or collector never mention. I want to show how big of a scam the watch industry make out of precious metal watches. Now I am not saying that Rolex is a scam or that it is a bad brand, but let’s have a look at Rolex Submariner for this example. 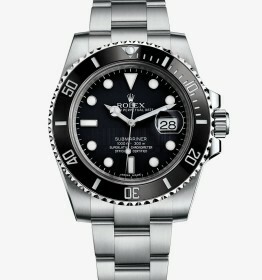 The all steel Rolex Submariner with date feature retails today for around €7.200. 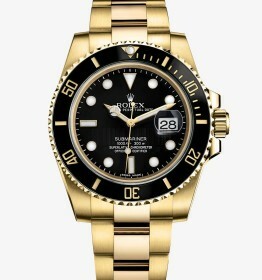 The very same Rolex Submariner in 18K gold retails for around €26.000. These two models of watches has the exact same Rolex caliber 3135 mechanical movement with the exact same features. The price difference between these two models are €18.800 and the only difference is that one is made from high grade stainless steel and the other one from 18K gold. N ow, not only is the stainless steel version a lot cheaper, but as a tool watch it is insanely much more durable than the 18K gold version. The €18.800 gets you about 750 grams worth of 18K gold on the market today. The 18K gold Rolex Submariner weighs in at roughly 180 grams including the movement and all other non-gold parts. This means approximately 140 grams of 18K gold at most, which is about €3.600 in market value. This means you are paying an €15.200 extra premium just for the fact that the watch was manufactured from 18K gold instead of stainless steel. That is A LOT of extra spent money for just manufacturing costs. With this in mind I would rather buy the steel version Rolex Submariner and spend the saved $18.800 on gold bars for future investment. They are more likely to go up in value and over time make enough money to buy another steel Rolex. Using the Rolex Submariner is not even the worst example. Go look up the Patek Philippe Nautilus in steel versus 18K gold and do the same comparison, it’ll blow your mind.